The street-level b-lister foes of Spider-Man aren't the only ones getting Superior this summer. As the symbiote takes full control, a Superior Carnage emerges in a new mini-series debuting in July 2013 by writer Kevin Shinick and artist Stephen Segovia. Cletus Kasady was taken down by Agent Venom and Kaine, the clone of Peter Parker now known as Scarlet Spider, but that may have actually made things worse. In this five-issue mini-series, Shinick will explore what happens when another villain - the Wizard - tries to control Carnage the same way the U.S. government currently controls the Venom symbiote. "I’ve decided that, kind of like and inspired by the way the government and the Avengers have used Venom and turned him into Agent Venom, that the Wizard has gotten the idea that if he can harness Carnage and convert him into sort of an agent evil, that it would be even more wicked and more ridiculous than turning Venom into an agent," Shinick told LA Times Hero Complex in the announcement interview. "He wants to harness this power, but use it for evil. The problem being, it is Carnage. And without even Cletus in there, we’re talking just pure symbiote and pure chaos." Superior Carnage continues the trend of re-exploring Spider-Man and his supporting cast under the "Superior" lens, and marks Shinick's second go with this corner of the Marvel Universe, after the two-part Avenging Spider-Man story that had a decidedly comedic bent from the TV writer who is known for his hilarious Robot Chicken work. But as the Wizard tries to recreate the Frightful Four and use the Carnage symbiote for his own means, don't expect too much hilarity. "I’m not going the humorous route directly. I think this is a nice balance to what I’ve done in the past, because I think it can be very graphic and frightening. But I think any time anybody takes on more than they can chew there is room for humor," Shinick said. The writer is "really happy to be working with" Segovia on art, and Clayton Crain on covers. Just as Agent Venom has a decidedly different look from past incarnations, they hope to have "an image of this new Carnage" that they take "even further... so graphic and so distinct that it will strike fear into Agent Venom himself." 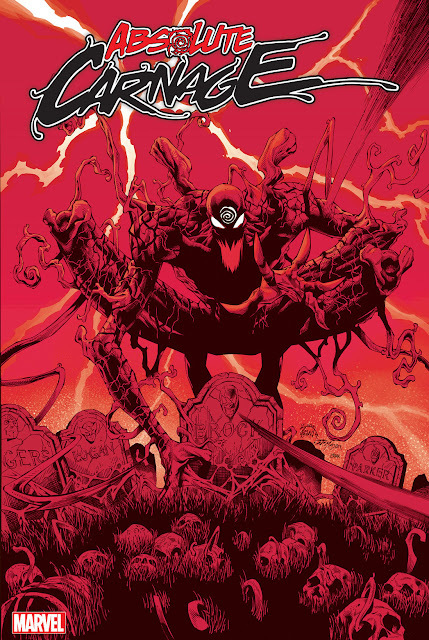 Superior Carnage, from Shinick and Segovia, kicks off July 2013. 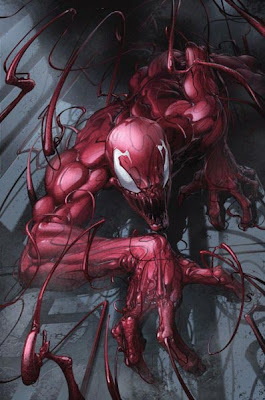 It is nice to see Clayton Crain coming back to Carnage, even if its only for covers. What do you think of this announcement? 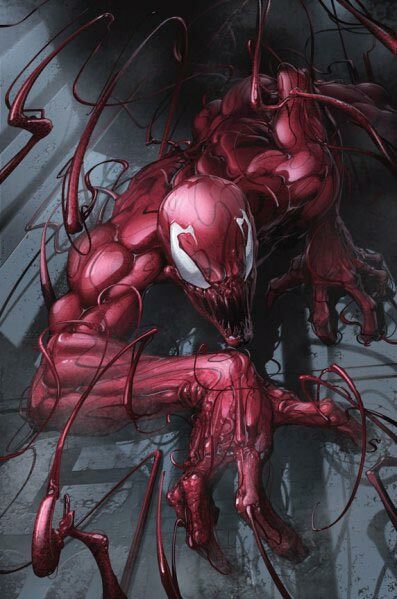 Can we have 'Carnage' without Kasady? I am interested to see where this series takes the character.